Looking for superior tires with long wearing tread, excellent control and a smooth ride? Mickey Thompson's source of pride is offering high-quality, safe and reliable tires. Mickey Thompson’s tires are designed and manufactured to provide thousands of miles of superb service, ensuring that you safely arrive and return to your destination. Mickey Thompson Performance Tires and Wheels' designs, develops and distributes specialty tires for the street, strip, track and off-road. 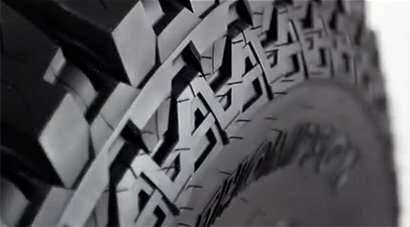 Since its founding in 1963, the company has championed many firsts in the tire industry, from wide low-profile street tires to rugged, aggressive-tread off-road tires. Designing and producing innovative tread patterns andcompounds to build the best performance tires in the world has alwaysbeen their focus. The Baja ATZ P3 has an all-terrain and mud-terrain hybrid design that delivers a smooth ride and all-around traction. The Baja ATZ P3 features multi-draft grooves for improved wear protection against damages, cuts and chips, and has self-cleaning capabilities to remove debris from rugged terrain. All sizes feature PowerPly™ 3-ply sidewall construction for rugged strength in all-terrain conditions. The Mickey Thompson Deegan 38 tire was designed in partnership with racing icon Brian Deegan to deliver exceptional driving performance on the highway and off the road. Constructed with stone ejector ribs to remove mud, stones and dirt, this is the ultimate all-purpose mud terrain tire for light trucks and SUVs. Designed with wide outer-voids for self-cleaning and removing debris when driving on rugged terrain. Provides generous siping for all-season performance, allowing lugs to effectively conform to surfaces. Constructed with tight inner void sections for noise reduction and exceptional road contact. Extreme off-roaders will appreciate the great ride and handling that this mud tire has on the highway. The MTZ has Mickey Thompson's Power Ply™ sidewalls with a special angled third ply to give you high-performance handling, better puncture resistance and improved towing capability. Features advanced radial construction for high mileage and a smooth ride. Self-cleaning high-void tread lugs for traction in mud and snow. Enhanced Sidebiters® for added traction and protection. From service appointments that you can schedule online, to our wide selection of top brand tires such as Mickey Thompson, and best-in-class parts and accessories, Pep Boys has been your ultimate one-stop solution for automotive service and retail. 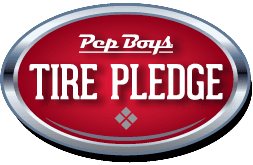 Trust Pep Boys to provide outstanding car service to you, our customers, with our state-of-the-art technology designed to diagnose and repair the critical systems that keep your vehicle running efficiently and our professional ASE-certified technicians. With approximately 1,000 locations in 35 states and Puerto Rico, our locations are well-equipped to handle any repair, maintenance effort or upgrade. From tire installations to carrying a wide range of DIY parts and accessories, we have all of the tools you need to tackle your automotive projects.